For over thirty years Thomas Ruff has approached every genre of photography and coolly reinvented it. One of the greatest artists to use photography in the 21st century, Ruff came of age in the 1980s alongside Andreas Gursky, Candida Höfer and Thomas Struth, in what was to become known as the Düsseldorf School. Creating photographic images on the scale of history paintingbut with a cool hyperrealism, Ruff moves from the micro to the macro, from portraying friends to picturing the cosmos. He also oscillates between the laboratory and the archive, experimenting with digital technologies to create photograms with virtual objects and rescuing discarded press photographs to reveal lost histories. 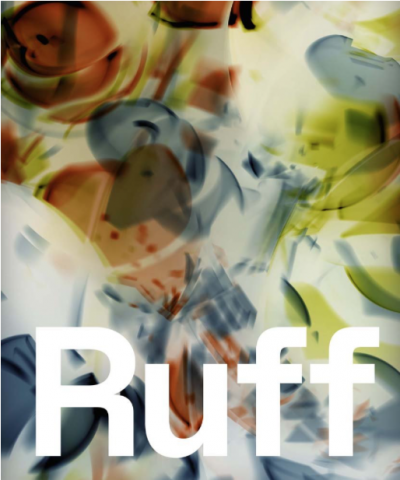 Unlike many other publications on his work which assess Ruff’s work series by series, this catalogue provides a thematic exploration of his output including portraits, disasters, sky and cityscapes, internet nudes, photograms, manga images, magnetically generated images and found photographs. Lavishly illustrated in colour, and with new essays by David Campany and Sarah E. James, the book will also focus on texts and source material from Ruff’s rich archive. NB: There are four alternative covers to this publication.